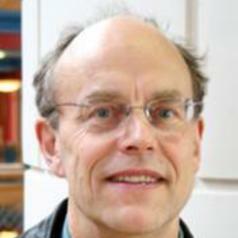 Hugh Willmott is a Research Professor in Organisational Studies at Cardiff University. Currently a member of the editorial boards of Academy of Management Review, Journal of Management Studies and Organization Studies, in the past he has been the Associate Editor of Gender, Work and Organization, as well as a member of the editorial boards of Accounting, Organizations and Society and Administrative Science Quarterly. Professor Willmott was a founding member of the journals Accounting, Auditing and Accountability Journal, Advances in Public Interest Accounting, Critical Perspectives in Accounting and Organization. Prior to joining Cardiff University, Professor Willmott was the Diageo Professor of Management Studies at Cambridge Judge Business School. He has also held appointments at Aston Business School and also at the Manchester School of Management, UMIST, where he was Professor of Organizational Analysis. Organisation studies; managerial work; management education and learning; accounting in organisations and society; social theory.